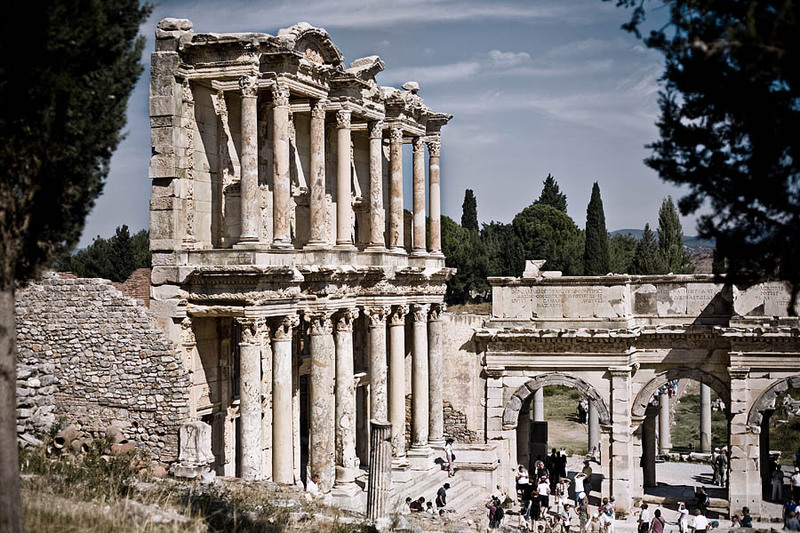 The library of Celsus in Ephesus, Turkey. It is the most impressive building in this old roman city. I took this pic during our stay there some weeks ago. Quite a lot of people there as you can see. postrocessed in Lightroom and Cs3. Dodge/burn, gradient layer and pink colour are the 3 main layers that I used. We like your post processing. It gives the photo an old touch - and the people "fades away" as they probably have some quite strong colors on.